Recently, HWSG hosted the annual Ellen MacArthur Cancer Trust Charity Shoot. Back in 2016, as you will see below, over £6,000 was raised by the event. However this year an amazing £10,000 was raised! Very well done to everyone who took part. Here is an email extract from the CEO of the charity, Frank Fletcher, thanking everyone at the charity for their hard work. Following the 7th Annual Ellen Macarthur Cancer trust Charity Clay Shoot, a really brilliant day, it was great to catch up with you all, I sincerely hope you all enjoyed your day and appreciated the weather we organized especially for you…. I am delighted to announce that once again you have exceeded yourselves and have beaten last year’s total funds raised. 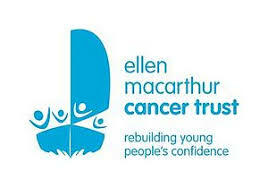 This year we will present the Ellen Macarthur Cancer Trust a magnificent £10,000.00 pounds from the Shoot day, with donations & sponsorships, so very many thanks to you all and for your generous support of the event. Without all of you, the event would not happen, but with you and your generosity, more Young people in treatment or recovery from Cancer can be given the opportunities that the Trust provides to them. Thanks to your generosity the Trust can reach out and help restore “#confidence after cancer” for more Young people this year. A real heartfelt and huge…Thank you… from us all.